Gambling is on the rise in Africa, with some of the largest sub-Saharan economies such as South Africa, Nigeria and Kenya identified as the largest and fastest growing markets in the continent. One of the fastest growing ways to gamble is to do it online. For the industry to continue to be successful it is important for players to feel and be safe when playing online. Education is imperative so that when they are choosing an online casino, they will know what they need to look out for. There are opportunities to win cash prizes and when players sign up at a casino website, they will be required to choose a payment method if they want to play the games for cash wagers. The casino account will have to be funded and players have to bet cash on the games, if the want to keep the winnings that have been generated. In South Africa, online gambling has to be done in Rands. The African gambling market has some characteristics that may differ from the rest of the world, both in how it is regulated and how participants behave. One example is that because of the predictive nature of the nation's matches, sports betting has gained popularity in Nigeria and continues to grow as a result. Although Nigeria's industry is formidable, South Africa accounts for more than 90 percent of the market share of gambling in sub-Saharan Africa. Bingo, Limited Payout Machines (LPMs) and sports betting are some of the fastest-growing categories in the continent. 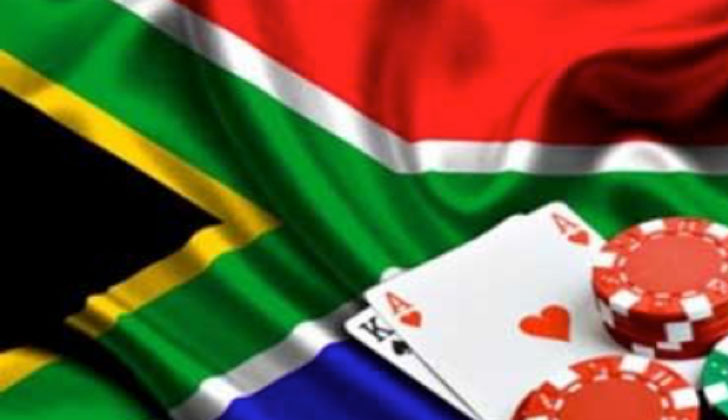 According to South Africa's National Gambling Board, the South African government decided to allow legalised and regulated gambling based on the 1994 "Wiehahn Commission" report. After the National Gambling Act was passed the gambling market in South Africa was changed drastically and became more regulated. Currently the National Gaming Board carefully monitors all the country's gambling arenas, both online and land based. There is the South Africa's national register of gambling machines and devices through which the monitoring of gambling equipment can be made. Great effort has been to ensure that the strictest controls are in place, on a cross border level, to monitor the movement of these devices. This can be good for tourism in the continent because everyone, regardless where they come from, will know what to expect. Overall, the laws have made gambling better for the players. It is now safer, fairer and more enjoyable for gamers. These developments have been beneficial to South Africa online casinos and enabled some brands to become well established after having operated in the South African market for many years. Playing online can offer a convenient way for players who may not be able to access a physical for various reasons. Some of the advantages include accessing cash games in a secure environment and without having to leave their home. There is more choice and flexibility with the games and customer support services being accessible at most if not all the time. One of the respected regulatory bodies in the continent is the Gaming Regulators African Forum (GRAF), which is a representative of gambling regulators in Africa established in 2003 by South Africa, Botswana, Zambia and Malawi. The body aims to be effective and credible in member countries' regions and continentally and is now operational in South Africa, Botswana, Kenya, Namibia, Swaziland, Tanzania, Mozambique, Malawi, Zimbabwe, Zambia. Members in the different countries have to operate under different regulatory frameworks and the GRAF has developed tactics that can be employed and implemented by all member jurisdictions. Educational projects on gambling, including raising awareness through campaigns in different regions is important. Because of this, the GRAF has made headway in implementing its training initiatives in parts of Africa through its Education and Training Committee. Each member state is encouraged to implement these so as to gain uniformity.